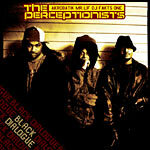 Finally Lif and Akrobatik blesses us with the official Perceptionists album, Black Dialogue! 8. What Have We Got To Lose?! ?